this photo. Yes, right now. kept repeating in my mind. begging her to stay. I need her. I'll have to leave them. I'm hoping I'll be ready, knowing I've raised two such splendid people. I had to put all those feelings into clay. This is the best work I've ever done. 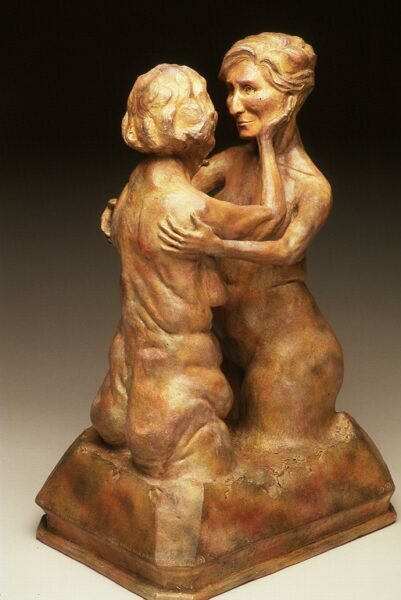 The original Mother & Daughter sculpture is in the artist's mother's personal collection. All images of artwork on this website are copyrighted, and the sole property of the artist. None may be used without express consent.